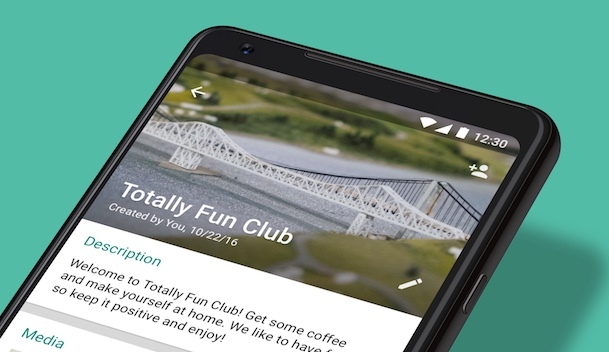 WhatsApp has today announced a bunch of new features for group chats, making it easy for members to catch up on what they’ve missed, while giving additional controls to the administrators. The new group chat features are rolling out now worldwide to both iOS and Android users with the latest versions of their respective apps. A short blurb found under group info that allows you to set the purpose, guidelines, or topics for the group. When a new person joins a group, the description will show up at the top of the chat. In group settings, there’s now a control that allows admins to restrict who can change the group’s subject, icon, and description. When you’ve been away from a group chat, quickly catch up on messages that mention or reply to you by tapping on a new @ button that appears at the bottom right corner of the chat. Find anyone in a group by searching for participants on the group info page. In addition to these features, admins now also have the option to remove admin permissions of other group participants, whereas group creators can no longer be removed from the group they started. Moreover, WhatsApp has also introduced protection so users can’t be repeatedly added to groups they have left. iOS users can grab the latest version at the following App Store link.